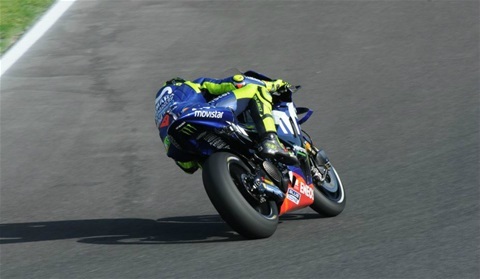 This morning, Rossi needed little time to get reacquainted with the Circuito de Jerez - Ángel Nieto. He positioned himself inside the top-3 during his opening laps, before shifting his attention to the balance of his YZR-M1. Making strides with his bike's settings, he took over at the top of the results with six minutes left on the clock, but ended the session in sixth position with a 1'39.488s, 0.220s from first. The Doctor continued tweaking his bike's settings in the afternoon and was pushing hard until a wobble at turn 1 gave him a first warning, right before his usual last 10-minutes mini time-attack. Yet, the Italian still managed to make another step forward, improving his time to a 1'39.248s. He ultimately ended the day in ninth place in both the FP2 and combined free practice results, 0.634s from the top. Viñales didn't warm to the Spanish track immediately in the morning session. He struggled to find the same feeling he had in Austin, Texas, but remained determined to put on a good show for the fans. He completed 16 laps in total and got a good impression of where he stands in terms of race pace, before putting in a last-minute hot lap to finish in ninth place, 0.291s from the front. The local hero used the afternoon session to look for a setting solution. He was able to improve his time to a 1'39.514s, for tenth place in the FP2 session rankings. However, as some rivals had posted quicker times in the morning, the number-25 rider ended the day in 12th place in the combined session times, with a 0.900s-margin to first.